A Pathway to Youth Outreach? In an era where people of all ages and backgrounds are finding it increasingly difficult to simply sit down and find a quiet moment, encouraging children and young adults to take the time to read the Bible is a never-ending struggle. With information available at our fingertips as well as in a variety of colours and dimensions, the idea of simply picking up a book containing nothing but the written word is now considered tedious and passé. Harper Collins, New York, 1994, p. 49. With this in mind, our desire for an instant message for today’s fast-moving population can be fulfilled through the image. From the mosaic to the movie, the image is a means of communication that succeeds in breaking barriers – it has been used to articulate the feelings and thoughts of artists across the centuries, to educate those who were too poor to learn to read as well as amuse and stimulate the mind of people of all ages and cultures. It is partly for this reason that the key to communicating the gospel to the youth of today could be found with the graphic novel, which is now regarded ‘not as an aspect of mass culture but as a respectable adult art form – the 9th art.’ (Forsdick, C., Grove, L., McQuillan, L. (Eds. 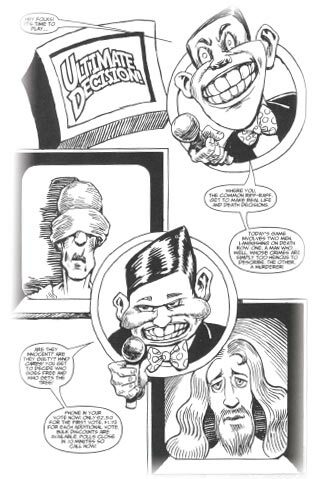 ), “The Francophone Bande Dessinée”, Rodopi, Amsterdam, 2005, p.9). Having attained this level of respect, the recent publication of Steve Ross’ “Marked “by Saint Andrews Press has the potential to provide ministers with an invaluable resource for youth ministry. Filled with humour, horror and hard-hitting reality, Marked succeeds in recounting the life and death of Jesus Christ as told through Mark’s Gospel in a way that makes the events both vivid and relevant to the reader. Set in modern times, Marked presents us with Jesus dropping his carpentry tools to take up his ministry in a time of corruption and conspiracy. One could argue that Ross triumphs in allowing the reader to attempt to answer the questions, which many ask – What would happen if Jesus was to have walked among us in a society like ours? What might he look like? portrayal of Christ. As a result of art and film across the years, Jesus has been portrayed by the majority as a tall, thin man with long hair, pale skin and bearded. In Marked, this profile is applied to Barabbas in Ross’ depiction of Mark 15:6-15 (See Figure 1). Jesus is, instead, drawn as bald, long-faced featureless being dressed in a long, white robe, thus removing the stereotypes, which affect our perception of what Jesus Christ could have looked like. One could go as far as to say that Ross succeeds in setting our minds free from the images and ideas which others have created and therefore allow the reader to make up their own mind. Having briefly introduced this new addition to Saint Andrew Press’ catalogue, it is clear that the graphic novel has the potential to strike a chord with the youth of today. Using humour without detracting from the powerful message, Steve Ross’ Marked could provide some young churchgoers with a medium that may also be of interest to others who are yet to pick up a Bible or step into a place of worship. While Marked and other graphic novels will never be and should never be thought of as a substitute to using the Scriptures, it is possible that the text-image interaction found within them may be the catalyst required to inspire people to see where authors such as Steve Ross ‘drew’ their inspiration from. 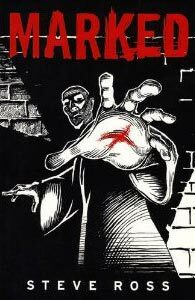 This entry was posted in Book Reviews and tagged graphic novel, image, jesus, judas, marked, steve ross, youth. Bookmark the permalink. Post a comment or leave a trackback: Trackback URL.